an extended worship gathering for students and their families with the purpose of centering our minds, hearts, and lives around God in the midst of our busy lives. Come for worship, prayer, and communion with God. 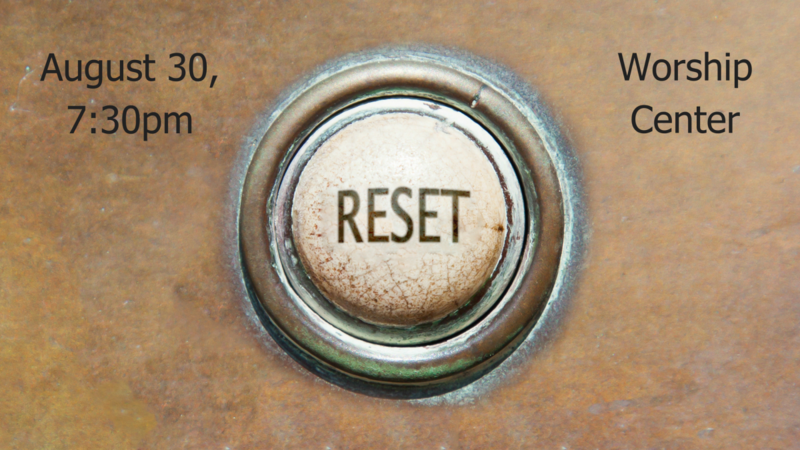 Our first RESET gathering is Thursday, August 30 at 7:30 pm in the Worship Center.